Representing parties negotiating contracts and litigating over breach of contracts are some of our attorneys’ main practice areas. 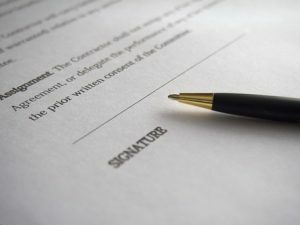 New Jersey contract law recognizes both contracts and “quasi-contracts.” This post examines what these are and the differences between them. New Jersey contract law defines a contract as a voluntary agreement for mutual obligations based on a common understanding resulting from “offer and acceptance.” New Jersey’s Model Civil Jury Charges have laid out the required elements to create a binding contract: (1) a meeting of the minds between the parties to the contract, (2) offer and acceptance, (3) valid consideration, ie., mutuality of obligations, and (4) certainty — clear and definite terms. In the case of In re Linear Electric Company, Inc., the Third Circuit was presented with whether construction liens filed by a supplier under New Jersey law were valid and enforceable against a contractor who filed a petition for Chapter 11 bankruptcy protection prior to when the construction liens were filed. New Jersey’s Construction Lien Law, N.J.S.A. §2A:44A, et seq., provides contractors, subcontractors, and suppliers with the right of filing a lien for work, services, or materials provided pursuant to a written contract. These protections are limited based on several factors including but not limited to whether the person or entity filing the construction lien is defined as a “claimant” under New Jersey’s Construction Lien law, what the unpaid portions of the contract price is, and compliance with strict time restrictions for filing the lien itself and a subsequent lawsuit based on the lien. Under the Federal Bankruptcy Code, a debtor who files for bankruptcy is afforded the relief of an automatic stay that prevents most collection actions from continuing including acts to create, perfect, or enforce liens against property. The protections of an automatic stay are broad and expansive but do include several expectations and limitations for certain debts. Our bankruptcy attorneys represent debtors and creditors in New Jersey in Chapter 7, 11, or 13 bankruptcies. Recently, a Bankruptcy Court within the Third Circuit had the opportunity to clarify the cap placed on landlords’ bankruptcy claims under 11 U.S.C. 502(b)(6). In the case of In re Filene’s Basement, LLC, the Bankruptcy Court reviewed the reach and application of 11 U.S.C. 502(b)(6) on a landlord’s potential claims. The Code section provides a cap to a landlord’s claim for “rent reserved” as a result of a debtor’s termination of a lease. The claim for “rent reserved” is capped at the greater amount of either one year of rent or fifteen percent of the remaining term of the lease – not to exceed three years. The time to calculate this claim for damages is from the earlier date, either the date of the filing of the petition or the date on which the landlord repossesses the property and/or the tenant surrenders the property. The landlord also retains a claim for unpaid rent prior to the earlier of those two dates. If you have been served with a foreclosure complaint for failing to make payments on your mortgage, and you would like to keep your home, there are several options available to you: loan modifications, NJ HomeKeeper program, foreclosure mediation, and Chapter 13 bankruptcy. All these programs are available to New Jersey Homeowners, and our attorneys can help you pursue each. The Home Affordable Modification Program is a federal program which can lower your monthly mortgage payments and/or wrap arrearages into your loan enabling you to retain ownership of your home. It typically extends the length of your mortgage to forty year mortgage and lowers your interest rate. In order to be considered for a modification, you must submit an application to your lender accompanied by all required back up documentation. 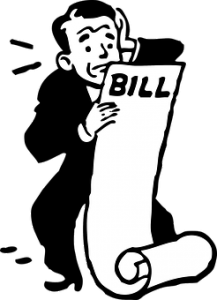 This includes a hardship affidavit, tax returns, pay stubs, bank statements, statement of expense, and a recent utility bill. This can be a difficult process; the lender often requests the same documentation multiple times, or requests minor changes to the documents which have been submitted. Additionally, if time passes after the documents have been submitted without the lender’s review, the lender may require updated current documents be resubmitted. This can be frustrating for the homeowner who is concerned about losing their home. However, persistence can pay off. 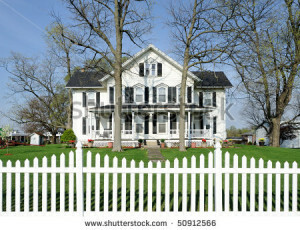 The New Jersey HomeKeeper Program is a New Jersey program which provides financial assistance to homeowners who are unemployed or underemployed and are therefore at risk of losing their homes. To be eligible, you must demonstrate that you were making your mortgage payments until the time you became unemployed (or underemployed) and that the unemployment occurred not more than 36 months before the date of the Homekeeper application. If eligible, NJ Homekeepers can provide up to $48,000 over a period of 24 months which can be used to help make current payments or pay arrearages. The funds provided by NJ Homekeepers are a loan which must be paid back if the homeowner sells, refinances, transfers ownership or no longer occupies the property within 10 years. Tagged: "New Jersey Bankruptcy", "new jersey chapter 13", "new jersey homekeeper", "new jersey judiciary's foreclosure mediation program" and "new jersey loan modification"
Help for New Jersey Residential Foreclosures: Do Not Lose Your Home – Help is Here! Families across New Jersey are facing difficulties paying their home mortgages and facing foreclosure. 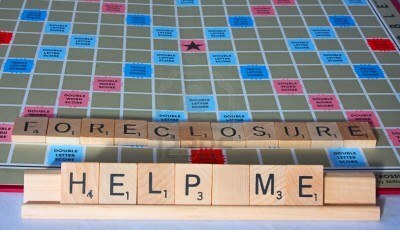 There are many steps that can be taken to avoid foreclosure and keep the home. The important thing is to do something. Homeowners facing foreclosure should seek counsel from an experienced New Jersey real estate attorney who can ensure that your rights are protected. For example, before banks can foreclose on a home they must follow a step by step procedure. Banks must first send a notice to the mortgagee (the person who owes the money) and advise of the intent to foreclose. Foreclosure notices must allow at least thirty days to cure defaults and must have certain information which is required by law. For example, the notice must conspicuously identify the real estate which is the collateral for the loan, describe the default, and advise the homeowner of the right to cure. The foreclosures notices must also provide the amount necessary to cure as well as the name, address, and telephone number of the person to whom payment should be made. Banks which fail to provide this required notice will not be permitted to foreclose. 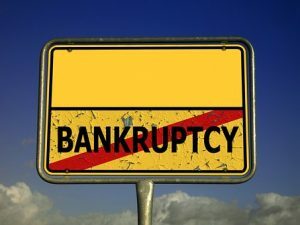 In New Jersey, banks are permitted to file a lawsuit to foreclose on a residential home thirty days after a homeowner has been served with a foreclosure notice. Time becomes critical once a homeowner is served with a complaint. Answers to complaints must be filed within thirty-five days after receipt of the summons and complaint. Failure to file an answer will result in default and the case will being deemed uncontested – in other words, the foreclosure will be treated as unopposed. Banks may obtain a judgment for foreclosure very quickly once a matter is deemed uncontested. Banks are only required to mail a notice to the homeowner and advise that she has fourteen days to cure default and that upon entry of a foreclosure order the mortgagee will forever lose the right to cure the default. Tagged: "Chapter 13", "New Jersey Foreclosure defense", "New Jersey Foreclosure" and "New Jersey Homeowner's rights"
When the amount that a homeowner owes on her mortgages is more than the home is worth it is considered “underwater.” Relief is available to New Jersey “underwater” homeowners through a Chapter 13 bankruptcy “cram-down” or “strip-off.” New Jersey homeowners can petition the United States Bankruptcy Court and request that their mortgages be cram-downed to the equity in the homes and the remainder of the loans stripped-off. This means that homeowners who have multiple mortgages on their primary residence can take their mortgages and make them unsecured debt, thereby stripping-off all junior liens. This process applies to all subsequent mortgages as well. Therefore, second and third mortgages, and so on, would no longer operate as a lien on homes. 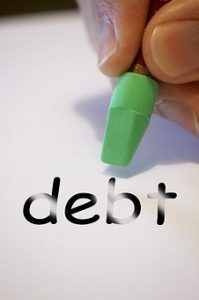 Since it is then unsecured debt only a fraction will be repaid, and the remainder will be eliminated altogether.